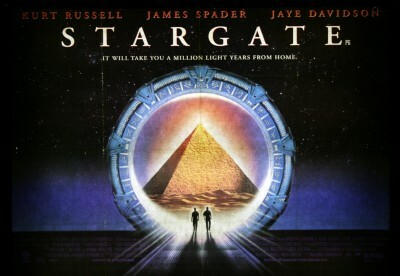 Well after some rumours late last year it has been confirmed that MGM and Warner Brothers have green light a potential trilogy of movies rebooting the original Stargate theatrical feature. Once again Roland Emmerich and Dean Devlin will be directing and producing respectively and I assume sharing the writing of the movie although adding new blood for a reboot would make some sense if nothing else to reflect today’s scifi market. Time will tell if MGM are looking to match the best of Disney, Fox and Sony in terms of big budget investment or they are looking at a solid middle ground which despite a $100 million price tag at least gives a movie a very good chance of recouping it’s investment in the global market. A Stargate Reboot a good or bad thing? Random Acts of Romance directed by Katrin Bowen is going to be screened at the Carlton Cinema in Toronto on November 8th. General release dates both domestic and overseas have still to be revealed but from the trailer this looks like it’s going to be a fun movie and we’ll see Amanda is a different type of role as well one or two other former Stargate performers. It was Friday October 28th 1994 when an American/French scifi adventure movie co-production opened in the US, directed by Roland Emmerich and produced by Dean Devlin Stargate came to fruition. An alien piece of technology is discovered in a dig site surrounding the Great Pyramid and the device is taken to the US under military control, decades of research lead nowhere until Daniel Jackson an author and archaeologist who believes the Egyptian culture had been influenced by alien life is brought on board. He solves the riddle of the device and with the Stargate activated a group of Airforce personnel along with Jackson travel to an alien world and discover a human culture enslaved by the ancient Sun God Ra complete with the Egyptian paraphernalia and pyramid spaceship. As you would expect the team are at cross purposes, destroy the gate to prevent this Ra from returning to Earth now the portal has been opened or lead these people into a rebellion to throw down this despotic being who rules with fear and force. The movie made a modest box office return in the US but it’s worldwide receipts were excellent pushing this $55 million movie into serious profit returning $196 million yet no sequel was on the horizon despite the goal of a movie trilogy. It wasn’t until a few years later when MGM who owned certain rights (distributed the feature alongside Canal+) were brought a project for a TV series based on the movie by Brad Wright and Jonathan Glassner, this series became Stargate SG1 and premièred on Showtime to both popular and critical acclaim and worldwide acceptance. Amanda Tapping stars in a new Lifetime TV movie feature premièring this Saturday August 11th. 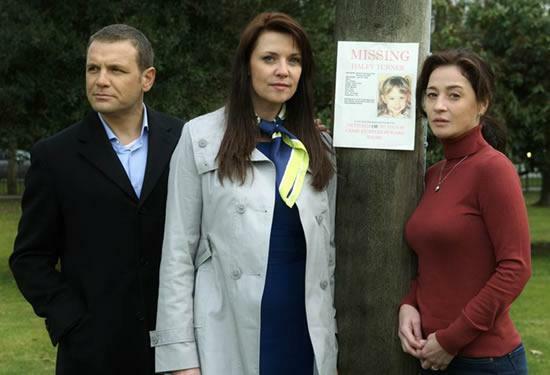 Taken Back is based on a true story of the abduction of a young girl and a mothers quest to find her and the impact it has on her friends and family with consequences when she believes she has found her. Jamil Walker Smith (Sgt Greer from Stargate Universe) has a movie out today which he wrote and directed, it’s called The American Dream and there are a few familiar faces as well. There isn’t a theatrical release but it’s getting a synched DVD and VOD release on an appropriate day.